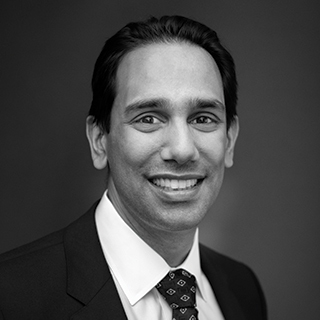 Neil Goradia is a Partner at FRA based in the firm’s New York City office. Neil is a forensic investigator and data analytics consultant with extensive experience in using analytics to create transparency and drive strategic decision making in investigative, dispute, and compliance matters. Through Neil’s 20 years of data management and analytics experience, he has specialized in analysing large and disparate data sets to deliver valuable and concise insights to both legal and corporate clients. He uses his experience in data mining and visualization techniques to uncover anomalies and patterns to piece together stories and properly advise clients in a wide range of legal and risk related matters including FCPA investigations, AML/OFAC violations; class action cases; pricing disputes; trade mark infringement securities fraud, and FCA matters. Neil has also worked across various industries including banking, energy, airline, gaming, technology and healthcare. Finally, Neil is well versed in deconstructing commercial and home grown systems to quickly identify and extract relevant datasets while also maintaining data privacy standards across jurisdictions. Neil has built and lead forensic data analytics team both in the US and in Europe. He is an expert in ensuring that work is done in a defensible manner and results can withstand the harshest critiques. Prior to joining FRA, Neil led the data analytics team at AlixPartners on over 50 projects across a wide range of functional spaces and industries. Neil has a Bachelor of Business Administration in Management Information Systems and Finance from the University of Texas, Austin.